[RetroPicks] Speccy’s turn – I ❤ Old Games! You may wonder (or maybe not) what I do with the ZX Spectrum I’ve bought some months ago without any kind of software to run on it. That’s a good question and that’s the reason why I decided to buy something to, at least, spend some time with my loved home computer instead of watching it in its black box. I’ve bought different mini-lots from different sellers so this is a recap of the expenses of a whole month. 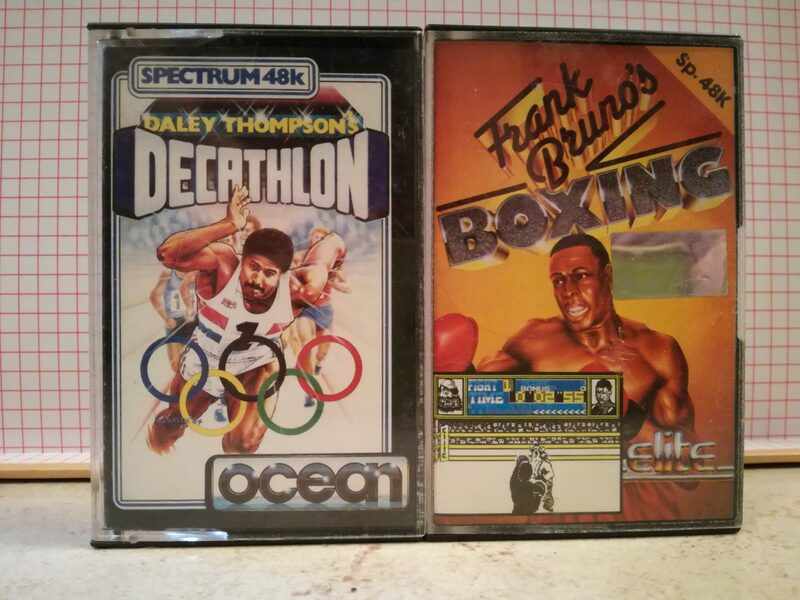 If I were in the UK I think I would find tons od Speccy games for a few quids but I live in Italy and here nobody has Spectrum games so I’m forced to buy them with higher prices from the land of 5 o’clok tea with butter biscuits (after this you can kill me with a landslide of italian stereotypes, I’m readyfor an overload of mafia-pizza-mandolino). 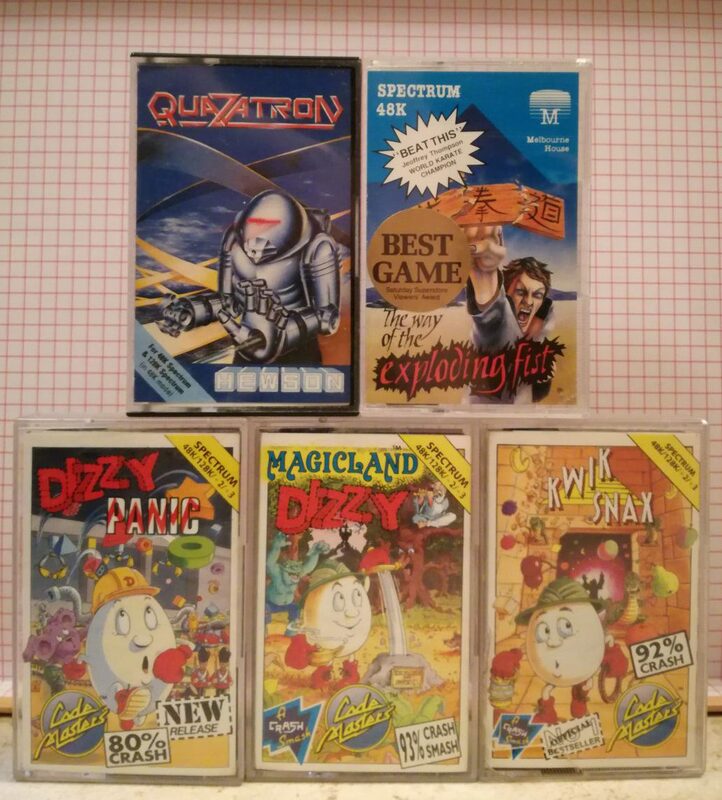 Other great games are Magicland Dizzy, Dizzy Panic and Kwik Snak, three chapters of the Dizzy series, The Way of the Exploding Fist, a solid karate game and Quazatron, an action game with a remarkable and colourful isometric view. This last game was one I was trying to buy from the beginning along with the shooter Uridium. I’ve place bids on both games but I’ve eventually won only one. 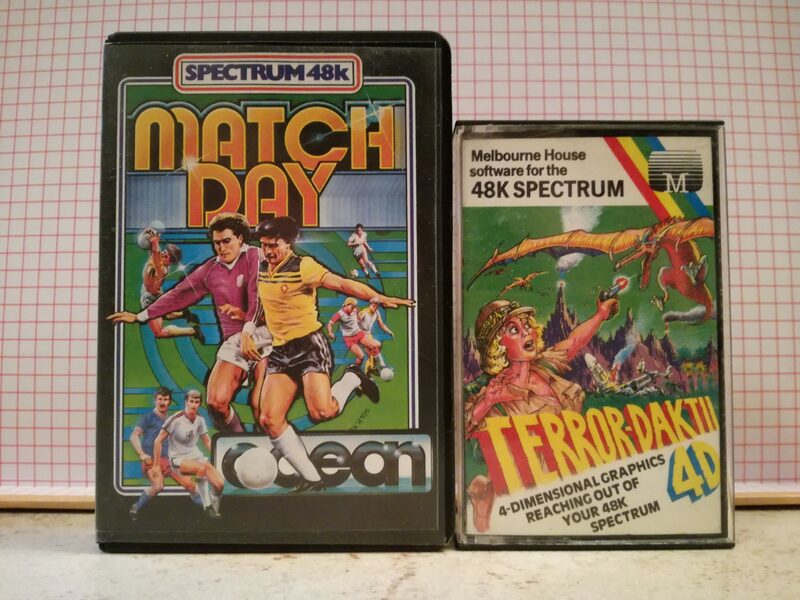 Another game that has been a major hit back then is the soccer-themed Match Day, while Terror-Daktil 4D (ha, a wordplay…) is something for sure quite overseen. Match Day, unlike most of the modern soccer games that become old and unwanted in less than a year was a great game and it’s still fun to play even now in the years of 4K and 60fps. Life is strange, huh? 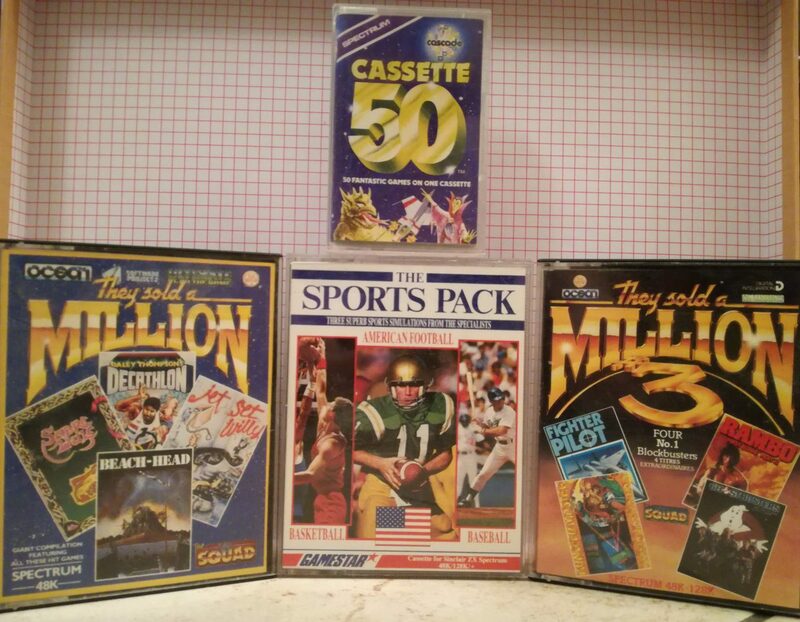 To complete the lot I got two “They Sold a Million” compilations with incredible games such as Sabre Wulf, Jet Set Willy, Ghostbusters and Rambo, Cassette 50, the bulky Decision maker that looks like an edutainment software and Sports Pack. So, that’s enough for this post, stick around for other retro picks! I remember playing a lot of these at a friend’s house when I was very young. Those Dizzy games were a lot of fun, but I don’t think I had a clue what I was doing. I’ve always love retro games. NES version of Legend of Kage is one of my ultimate fave games during the time, ninja thingy and i like the soundtrack and lightning effects. However, I haven’t play gauntlet yet. You have great collections. Nice choices of games as well. A lot of great games there. We didn’t get much of a ZX Spectrum scene here in the States. Sinclair’s work with Timex to bring it Stateside didn’t work out too well, and because they built it in Portugal with different chips, most of the EU software won’t run on the US version of the computer at all, and vice-versa. Still, I’ve heard the US version is a collector’s item among Spectrum enthusiasts due to the rarity. 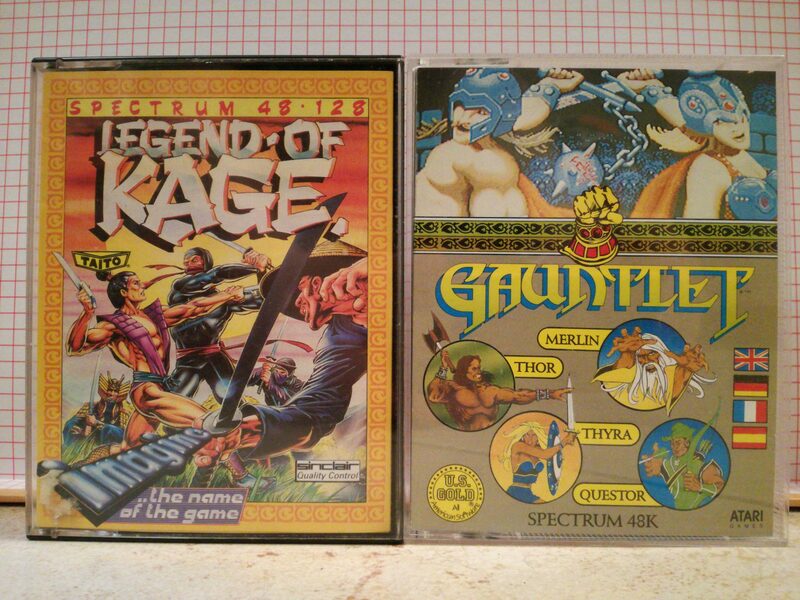 Anyway, we did see a lot of those games on the Commodore 64, Atari 8-bits, Apple II, and IBM PC Compatibles. Though I can’t say I’ve seen any of those sports games. Way Of The Exploding Fist is one of the better Pre-Street Fighter games though. Enjoy!